The success of any business does thrive on many factors such as quality of the product, price, etc but what remains an underdog here and still tops the chart is none other than, ‘customer service’. 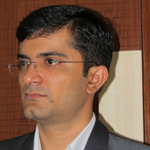 Majorly all industry sectors and corporates hugely rely on CSAT (Customer Satisfaction). CSAT has also become a measuring parameter in determining the success of business via its products and/or services. It all comes down to how efficiently you serve your customers. As again, gaining their trust isn’t an easy job but one can start with providing exceptional service. To achieve this benchmark, businesses around the globe can start taking advantage of artificial intelligence capabilities infused chatbots. These AI-powered chatbots provide an experience as close to a human in terms of style and response mechanism. Customer service is an integral and core of factor contributing to the overall brand value of the company. It is quite obvious that if the customers are going to like your service and product quality, there are going to be attached to your brand and in terms of a good thing for a business to grow. Whereas, if the same customer experiences unsatisfactory service then chances are that they might not try again especially with lots of other options available in the same industry. Best mobile app development companies have long ago started taking projects requiring to implement AI feature with the help of NLP & ML which we will see further. Without waiting for further ado, let’s discuss more the impact of AI-powered chatbots leads to the improvement of customer service. AI-powered chatbots not only works on the principle of responding fast to a customer’s query but also get a to any issue posed resulting in an increased level of customer satisfaction. These chatbots also do analysis based on the interests, preferences from the browsing behavior and present with the most relevant suggestions for the query from the customer. Digitization of this segment provides accelerated growth due to effective customer service even for the impatient customers. Therefore, resulting in achieving higher customer engagement and interaction ratio for business as compared to human responses. Chatbots proactively possess the ability to up-sell and cross-sell in an effective manner. With technology constantly evolving, mobile phones and other smart devices are ought to grow 6 billion marks by 2020. Businesses who are adapting to mobile technology and delivering products and services online can hugely benefit from AI-powered chatbots. To gain market leverage, businesses need to have proper software and services that can improve customer service. If they aren’t up against the challenge then surely new and agile startup and emerging enterprises are going to take advantage of AI-powered chatbots to be one-step ahead in the competition. Facebook Messenger with the new launch of API in 2016 is using more than 34000 chatbots. Developing a chatbot requires businesses to do a one-time investment but it sure gets you back with the assured returns. Contrary to the belief, to provide a human customer service requires investing time, resources and effort in training. Automated chatbots present an amazing opportunity for businesses to save a huge chunk of money and time in this segment. One can also give their AI-powered chatbot project to a top mobile app development company to develop an automated customer service response system based on their business process and operation. Take for an instance, if a person’s car breakdown due to any reason such as mechanical issue, flat tire, etc then these AI-powered chatbots can take respective actions by displaying the driver’s location to the breakdown cover assistance center. This would prompt the contact center representative to get in touch immediately with the driver and provide assistance quickly and can assure the driver that the help is on the way. Hence, AI-powered chatbots can be of assistance in lots of ways. Such instance and quick responding services will always leave your customers with a delightful experience. Chatbots are rigged with Artificial Intelligence capabilities with Natural Language Processing (NLP) and Machine Learning. Due to their higher level of responsiveness, businesses are more diverted towards implementing these automated customer service virtual assistant to enhance overall conversation experience. 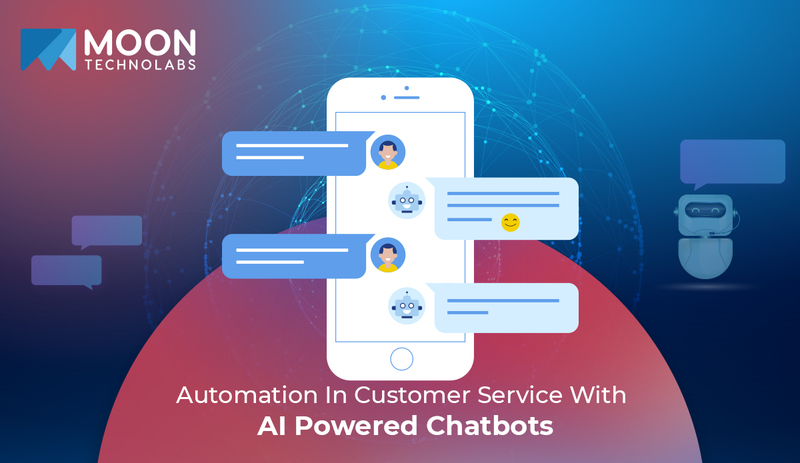 Keeping the context, preferences and customer queries at the core of analysis, these AI-powered chatbots empowered with NLP and ML performs the predictive analysis on those elements to not only anticipate the customer’s needs but also promptly provide the solutions and services pertaining to the same issue. More or less, these chatbots possess the potential to get better with time. Undoubtedly, due to system mechanism chatbots are faster in being responsive while keeping a human touch to the conversation but moreover, they are able to scale customer service experience by responding simultaneously simply by switching on to another server. The smart AI chatbots learn from every interaction from the customers which reduces the work to employ the staff and train them for the process ultimately saving you time, resources and money. Chatbots are gaining their presence by breaking the ground of conventional way to handle customer queries. With its amazing abilities and multi-tasking add-ons, chatbots are on top of the customer service industry. Additionally, businesses around the globe have realized the importance of catering to customer needs via a more interactive way through messaging or conversational apps in the form of chatbots. This also allows them to have a steady stream of revenue generation without spending much on time and resources. Moon Technolabs is one such professional chatbot app development company that can provide your business with leverage to connect to new and existing customers and start generating profit. On the contrary, these AI-powered real-time chatbot messages allow users to communicate with brands and get familiar with it.